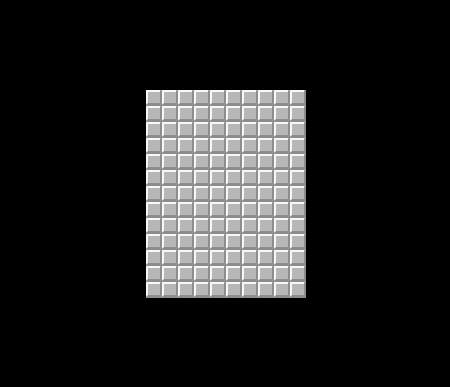 Welcome to our Unity 2D Minesweeper Tutorial. 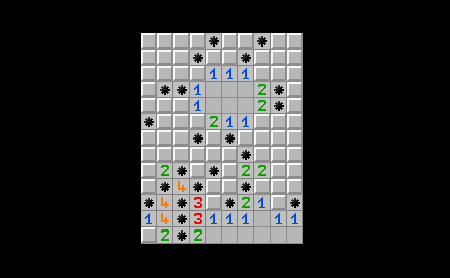 Minesweeper is a single-player puzzle game, originally released back in the 1960s. 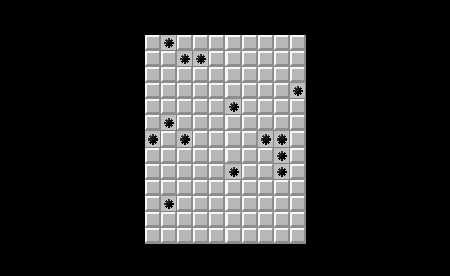 The goal of the game is to uncover a mine field while trying to not trigger any of the mines. After uncovering an element without a mine, the game will always show a number that indicates the amount of surrounding mines. This adds a nice strategic aspect to the game. What sounds simple is actually so much fun that different versions of Minesweeper are frequently included in some of the major operating systems. 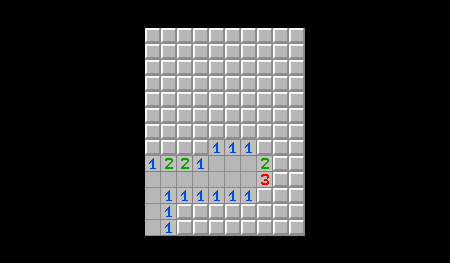 Our Minesweeper clone will be really simple, with only 85 lines of code and some pixel art. 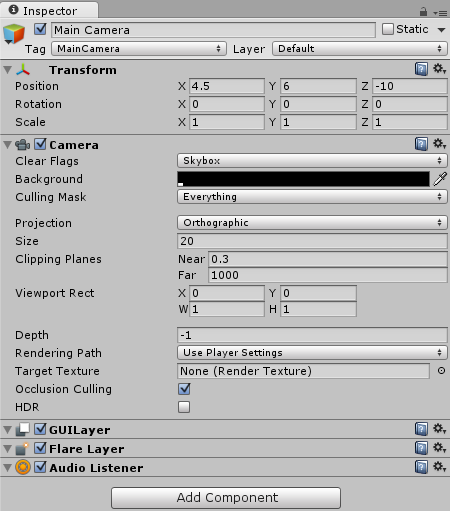 We will learn quite a few things about Unity programming and implement the popular Flood Fill algorithm. 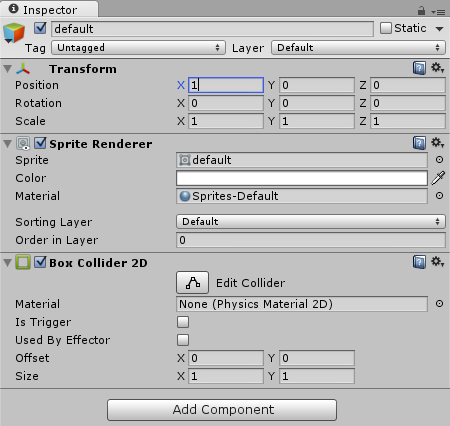 Our Tutorial does not require any special Unity skills besides some knowledge about the basics like GameObjects and Transforms. Understanding recursion (a function calling itself) will definitely come in handy for the Flood Fill algorithm. Feel free to read our easier Unity Tutorials like Unity 2D Pong Game if you want to get used to this powerful (yet simple) game engine first. 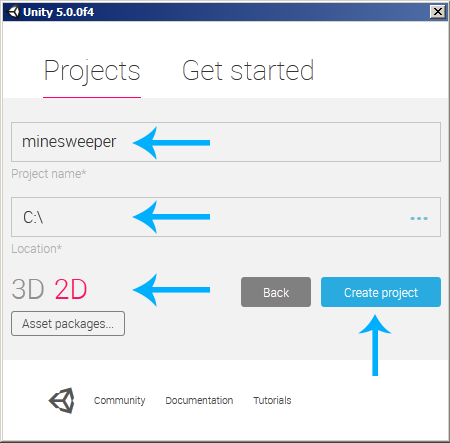 Our Minesweeper Tutorial will use Unity 5.0.0f4. Newer versions should work fine as well, older versions may or may not work. The free version of Unity 5 now comes with all the engine features, which makes it the recommended version. 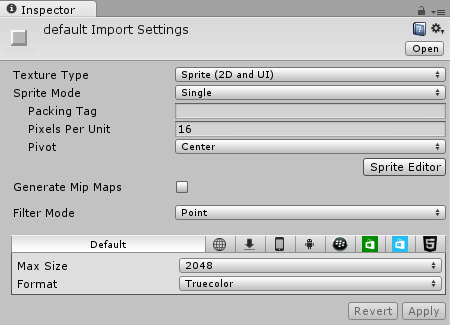 Let's add the default elements to our game. The default elements are those that we see if we didn't click on one yet. Their purpose is to hide whatever is below them. Note: right click on the image, select Save As... and save it in the project's Assets folder. Note: the Import Settings specify how big the image is in the final game, and if some kind of compression should be used or not. Note: everything in the Project Area is just a file, something we may or may not use for our game. 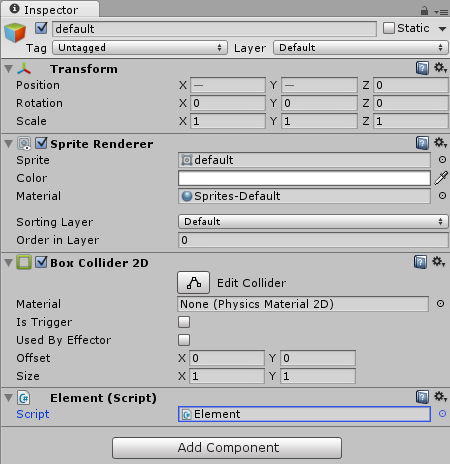 Once we drag our default element into the Scene it becomes part of the game world. Note: x is the horizontal position and y is the vertical position. We will set z to 0 because we want to make a 2D game and don't really need the third dimension here. We want to get notified when the user clicks on an element. Unity already provides a function for this as we will see later on, this function only works for elements with Colliders though. A Collider makes our object part of the physics world. 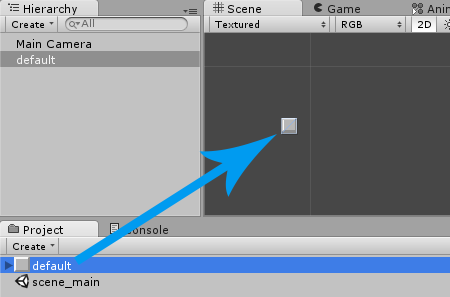 Right now our default element is just an image in the game world. Once we add a Collider to it, it becomes part of the physics world, just like a wall. And that's all, now it's part of the physics world. Note: the bottom left element is at x=0, y=0. The top right element is at x=9, y=12. It's important that the elements in between are always at rounded positions like x=2, y=3 instead of x=2.04, y=3.002. Our game already looks a bit like Minesweeper now! Let's take a minute to understand the adjacent mine property that will be a big part of our Minesweeper game. Note: adjacent is a fancy word for surrounding, or direct neighbor. After clicking an element that was not a mine, the user should see a number that indicates the amount of adjacent mines. We will use what's called 8 neighbor adjacency here. Or in other words, instead of just looking at the top/bottom/left/right we will also look at the top-left/top-right/bottom-left/bottom-right elements. So all we have to do is count the amount of adjacent mines for each field and then draw the number, or draw nothing if there are no adjacent mines. Note: right click each image, select Save As... and save them all in the project's Assets folder. // Is this a mine? Note: The mine variable is public so that other elements can see it. The Start function is called once in the beginning of the game. Note: Random.value will always return a new random number between 0 and 1. We want a 15% probability that an element is a mine, so we use Random.value < 0.15. 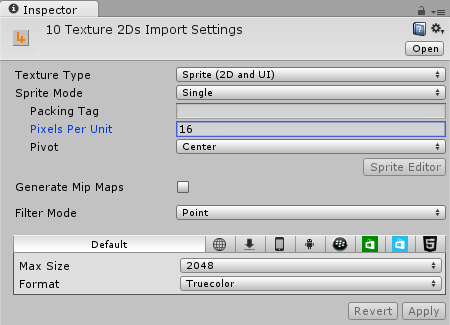 Note: Sprite is another word for Texture. Sprite is an Array, or in other words: more than one Sprite. Note: the function first checks if the element is a mine or not. If it is a mine then it loads the mine texture. If it's not a mine then it loads one of the emptyTextures (the numbers), depending on the adjacentCount. 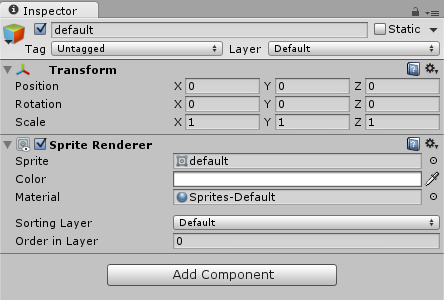 The GetComponent<SpriteRenderer>().sprite thing is just how we change the current texture. // Is it still covered? Note: an element is covered as long as it has the default texture. It will not be covered anymore as soon as we load a different texture like the mine or one of the numbers. All our ToDo features have one thing in common: they require information not just about the element itself, but about other elements as well. So let's create one more Script that takes care of all elements. The Grid will be our helper class that knows all the elements and can take care of more complicated game logic like counting the adjacent mines for a certain element, or uncovering a whole area of mineless elements. Note: this creates a new 2 dimensional array with the width of 10 and the height of 13, or in other words: 10 * 13 elements. If we wanted to access the element at x=0, y=1 we would write elements[0, 1]. Note: the transform.position's x and y coordinates are of type float, so we have to convert them to int before using them. The value this refers to the element itself. 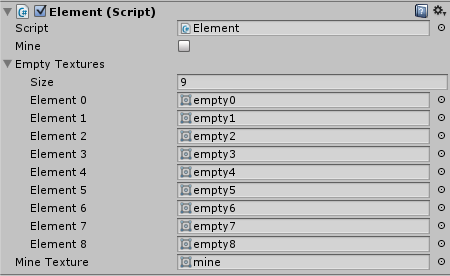 Note: We simply check each element's mine variable that we created before and then use our loadTexture function if it was a mine. The loadTexture function expects the adjacent mine number, which doesn't really matter if it was a mine itself, hence why we just use 0. The function is public and static because we want to be able to use it from everywhere and not just from within the Grid class itself. And increases a counter by one whenever one of those elements is a mine. // Coordinates in range? Then check for mine. Note: we have to check if the coordinates are in range of the elements array to prevent accessing things like elements[-1, -1] which would throw an error. Note: The visited variable is a 2D array that simply keeps track of whether or not the algorithm already visited a certain element. The rest is just the default Flood Fill 4-neighbor recursion. Or in other words: the algorithm starts in some element and then continues with the elements on the top, right, bottom and on the left of that element recursively until it visited every element. It doesn't do any real work yet, it just visits everything once. 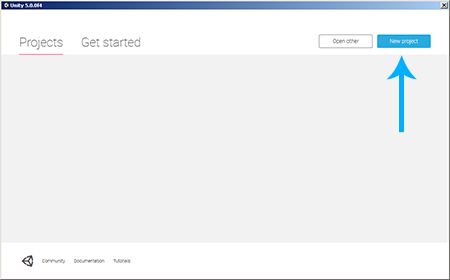 And that's how easy it is to implement and modify Flood Fill in C#. Note: we just called the algorithm at the current element's position with a new boolean array that has the size of our Grid.  The boolean array is for the Flood Fill algorithm to keep track of which elements it visited already. There is one last thing to do, we still have to find out if the game was won after the user uncovered an element. This algorithm will be really easy again. // There are none => all are mines => game won. Note: the algorithm simply tries to find one element that is still covered and not a mine. If it finds such an element then it returns false because there is still work to do for the user. If it finds no such element then it returns true because the game was won (because all the covered elements contain mines). 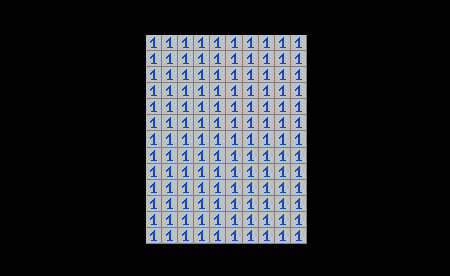 And that was our Unity 2D Minesweeper Tutorial. We learned a lot about Unity and C# programming this time. Understanding Flood Fill and being able to implement it in any programming language is a very useful asset in every developer's toolbox. As usual, now it's up to the reader to make the game more fun. There are lots of improvements that could be made, like tagging elements with a flag, adding bigger levels, fancier graphics, a few decent sounds, win and lose screens or a restart button. 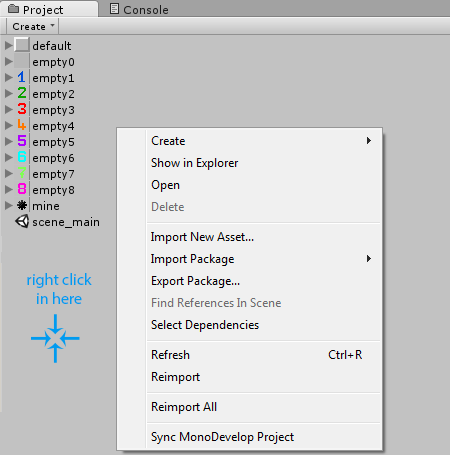 The Unity 2D Minesweeper Tutorial source code & project files can be downloaded by Premium members.